Linnaea’s earliest memories were filled with the joy of seeing the blinding beauty in the uniqueness of each individual. She awakened slowly to the realization that not everyone in her world saw themselves and others in this way, and so she was often filled with mourning when she imagined that this beauty in us was not seen. Nonviolent Communication (NVC), and particularly the work of Robert Gonzales, has offered Linnaea both insight into why this is so, and tools and methods to support the full emergence and embodiment of inner beauty. 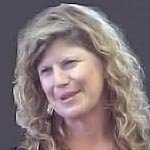 Her work focuses on supporting the learning and development of skills that support emergence of the fullness of authenticity through embodiment of the consciousness that NVC points towards: To hold an intention to connect with the needs of ourselves and others equally in a spirit of pure natural giving.